What is a Rugged Computer? A rugged computer is a PC specifically engineered to operate effectively in the most challenging environments. Rugged PCs are most often designed to resist extreme temperatures, shock & vibration and exposure to dust or wet conditions. 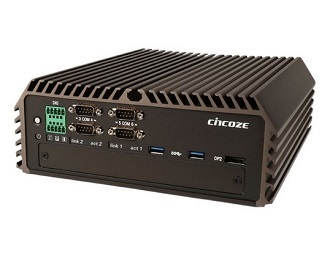 Rugged computers not only feature ultra-durable enclosures, but also utilize internal components built for the utmost in reliability. When Do You Need a Rugged Computer? Rugged computers are most commonly employed in environments where even an industrial PC would struggle to survive. Rugged PCs are relied on to eliminate hardware failures and ensure consistent operation in applications ranging from offshore oil rigs and steel forges to deep sea exploration vehicles and underground mining operations. At Logic Supply our rugged computers are completely fanless and ventless, yet are still rated for reliable operation in ambient temperatures as cold as -25°C and as hot as 70°C. Internal vibration isolation prevents damage in vibration-prone mobile or production environments and industrial solid state storage makes for a hardware solution free of any moving parts.